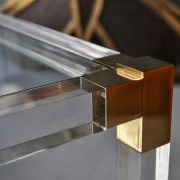 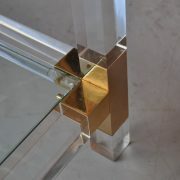 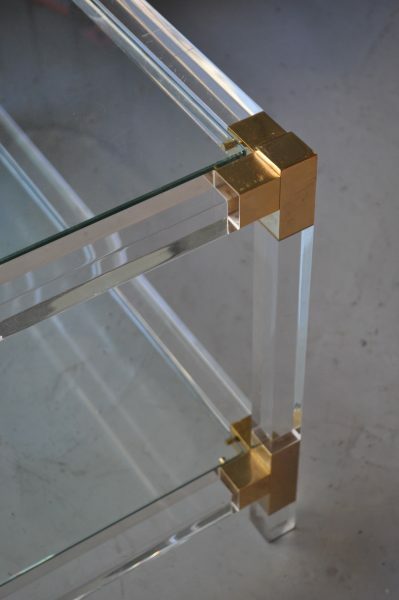 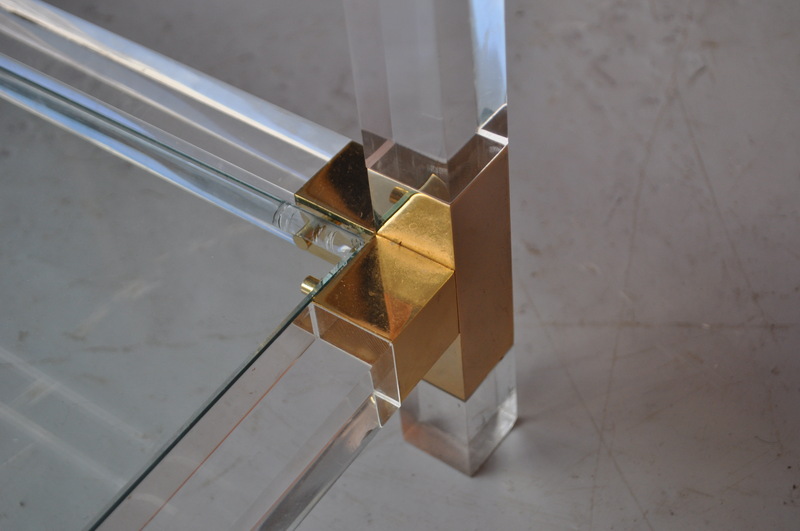 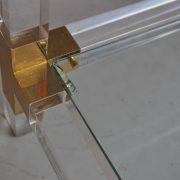 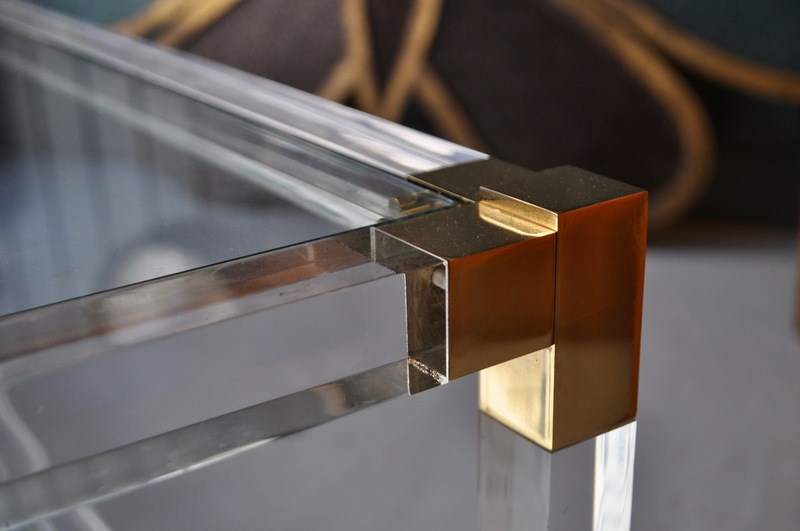 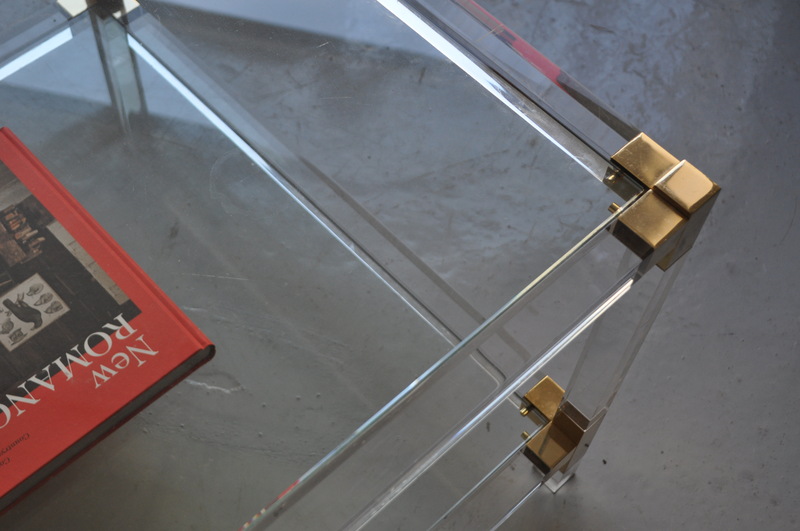 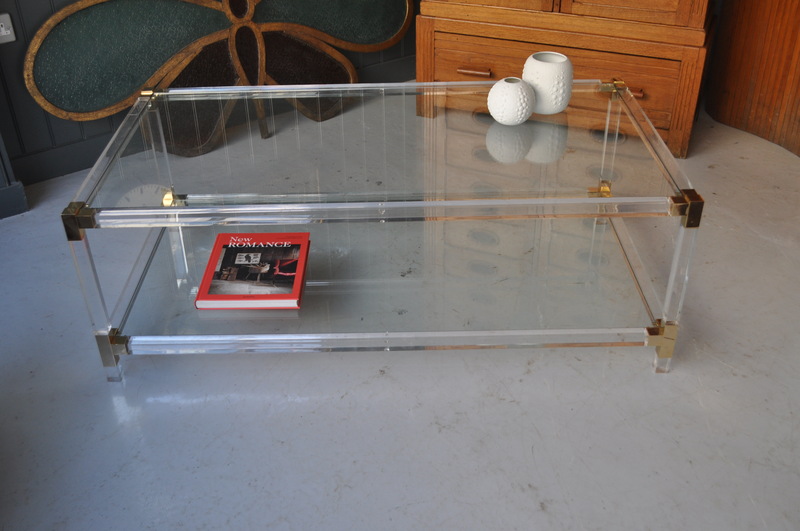 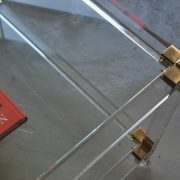 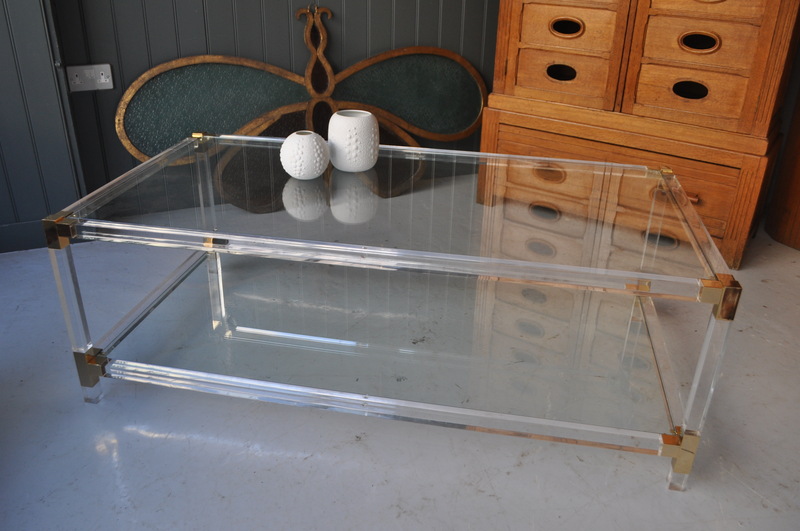 A stylish lucite and brass framed coffee table with a glass top and shelf. 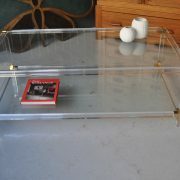 A few minor marks and scratches to the lucite, and a small blister to one corner of the lower glass shelf, but nothing too off-putting – please see pic. 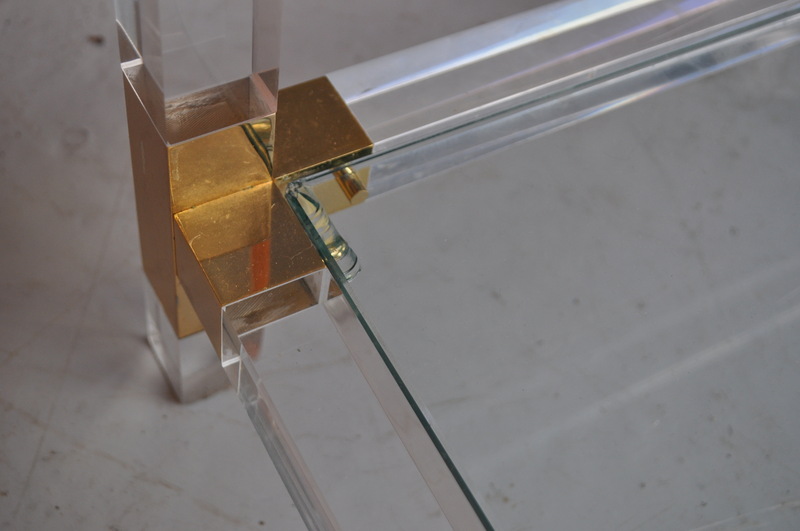 One of the legs has an old break, but it is within the lower brass bracket, and so cannot be seen and does not affect the stability of the piece. 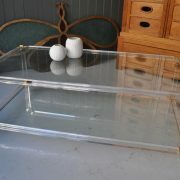 A great size, and a simple but eye-catching design.